Cooking With Mickey: Save 80% at Restaurants.com! Restaurants.com has another great 80% off sale! If your heading to Disney World (or anywhere else in the US), then pick up one of these $25 certificates for just $2!! 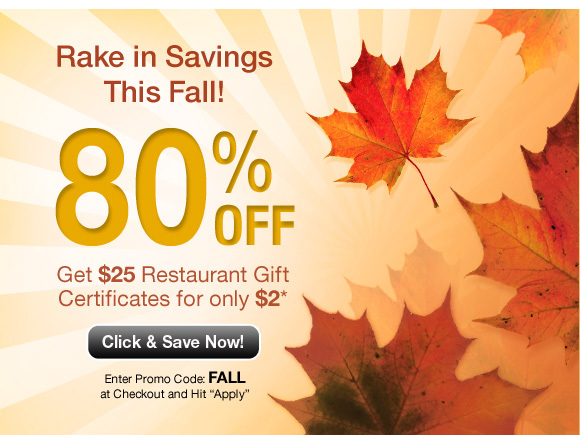 This offer is good through Friday, September 30, 2011, so grab some certificates and use code: FALL at check-out to get the discount. These are great for saving money when traveling or when dining at home. Check out what restaurants are available in your area.